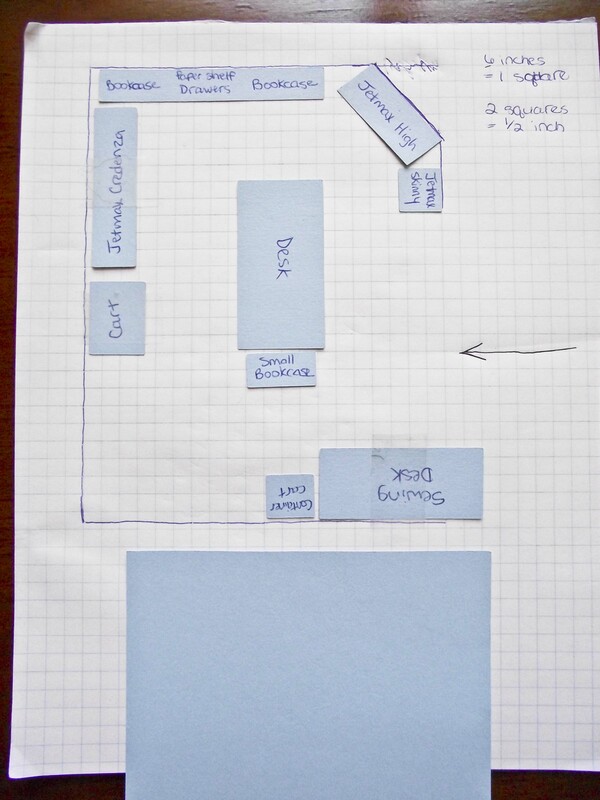 The big blue square is the rug–to see if it would fit in the room. 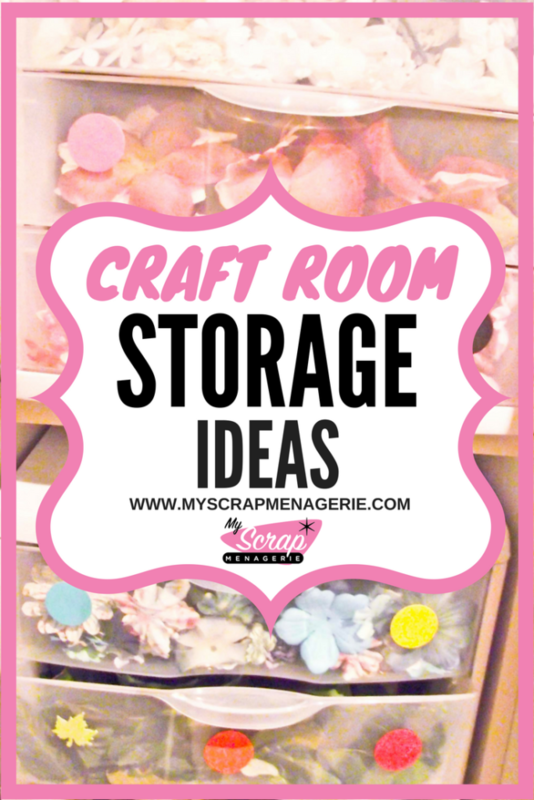 If you are planning to re-do your entire scrap room, I really recommend doing a floor plan. It’s so much easier than moving things and finding they don’t fit, and having to move them back. Just a little tip for ya! I got this wonderful idea from a friend of mine (Michaelea)! I love this! 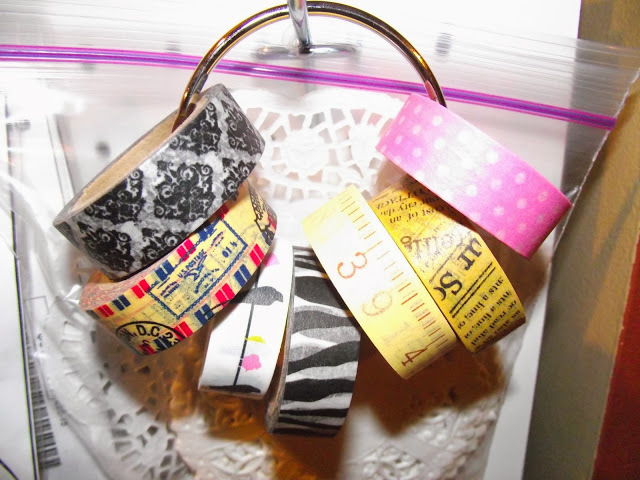 For my washi tapes….I keep them on a large binder ring. I have my Tim Holtz tissue tapes on another ring. Perfect for keeping them together and in one place. 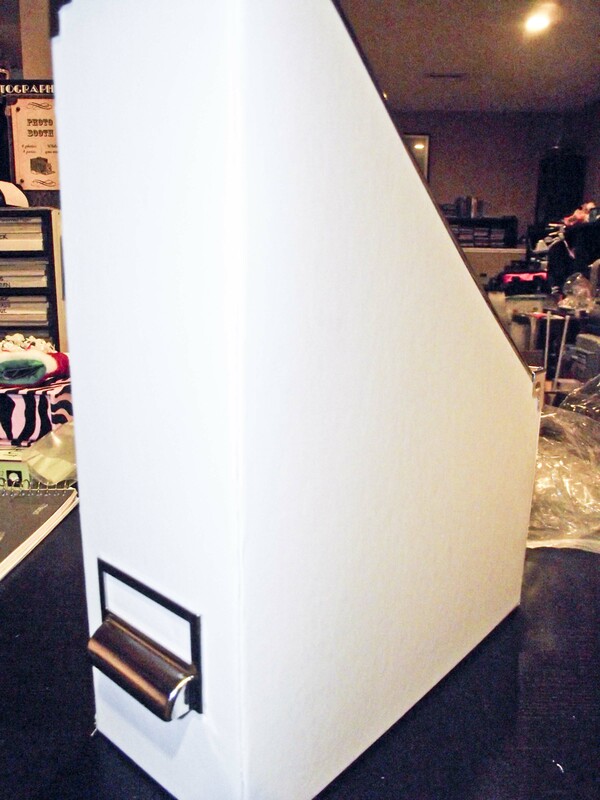 Also great for just grabbing and putting in your bag for a scrapbooking crop! Give it a try! 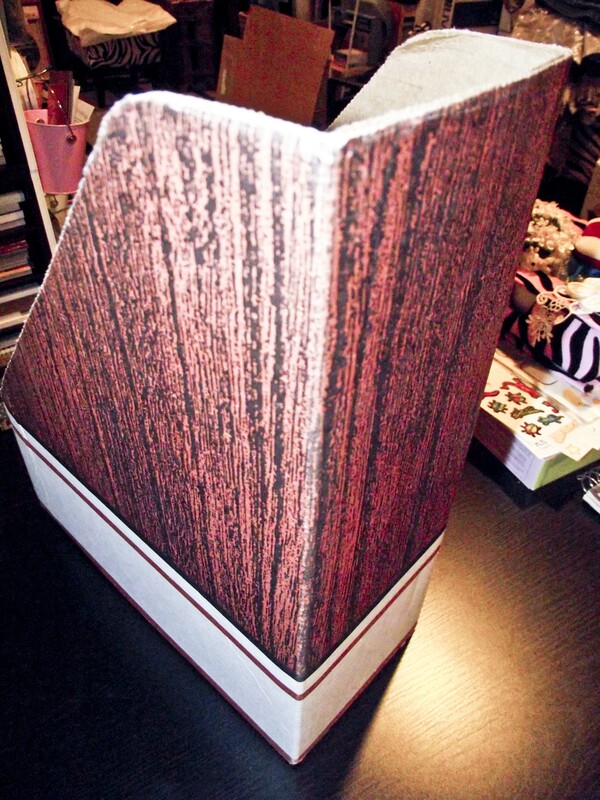 And here’s a little sneaky peek of my new cabinet for my Cricut Machines! It is so awesome! 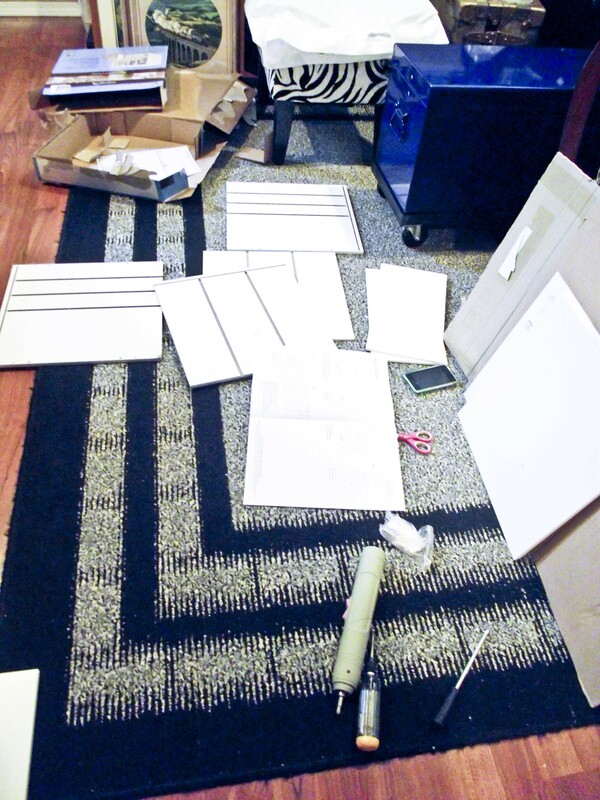 But let me tell you….I don’t want to put together another one of these. Talk about lots of pieces! Holy mother of scrap supplies Batman! Geesh! You’ll get a better picture of it in a later post. And of course here is a sneaky peek of my new craft desk. Yes, just a little peek. You’ll have to wait for a later post to see the entire desk! Gotta keep you checking back. Really? Instructions for putting together a magazine holder? Really? Ok Ikea. Love it! I wanted more black and white in my room, so I replaced the old magazine holders and got these. Well, I decided to retire my old cardstock holder. It was falling apart because of the weight of all the cardstock. 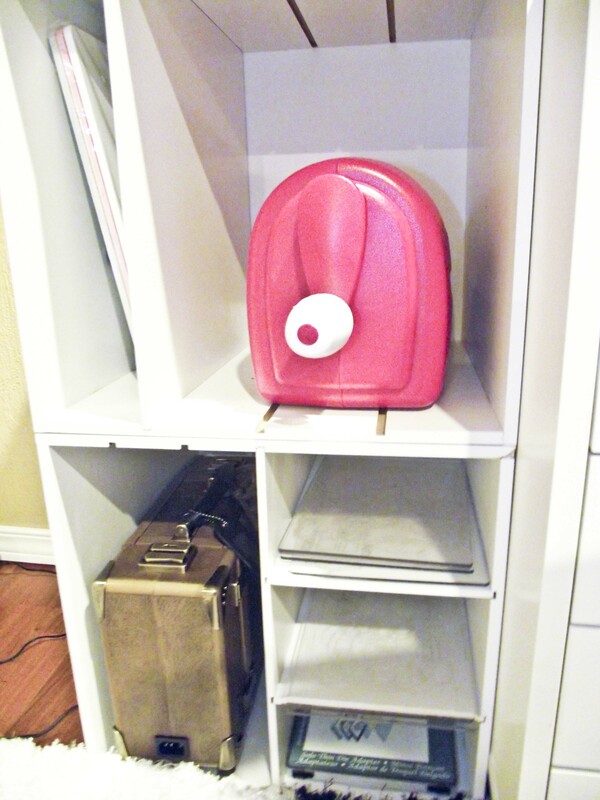 So bye, bye old paper holder…. Hello new cardstock holder! I think this works great seeing that it is right across from my Cricut cabinet. 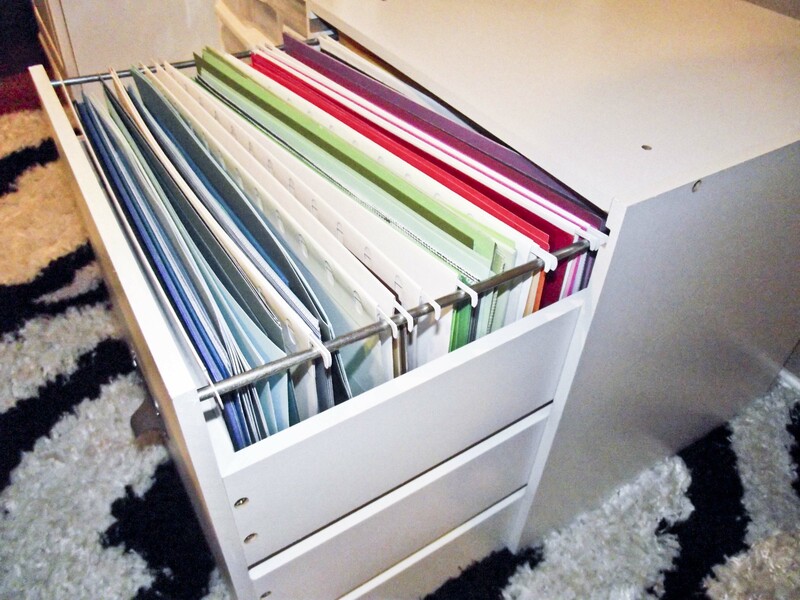 The only problem when I bought it was that it only came with 4 12 x 12 folders! Only 4! Really? Do they really think I only have a little bit of paper? So I bought a half dozen more from a scrap friend of mine (Maureen). Now I might have enough. Ok, better grab a coffee….this is going to be quite a story! I spilled the pieces out for this 3 drawer cube. I thought it looked odd. 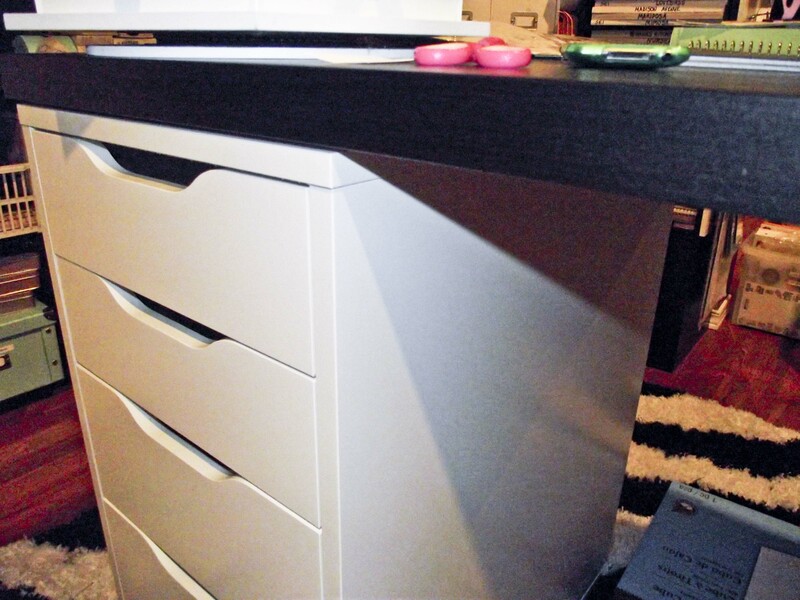 I then realized that it was a half-height 3 drawer cube, not the full cube height. Drat! I already ripped the box open. And I do mean ripped! They must have glued the box together with crazy glue! Seriously! So I decided to keep it. 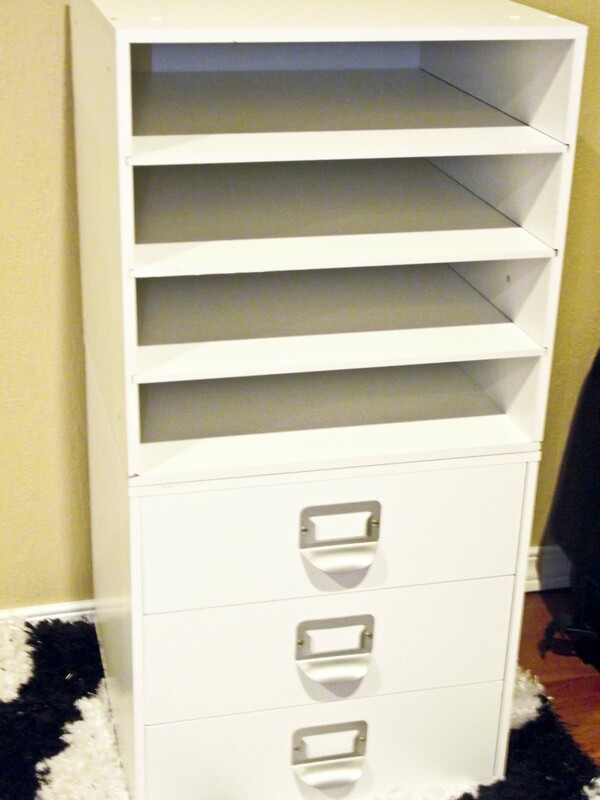 I would just go back to Michaels to get another one–the correct 3 drawer cube. 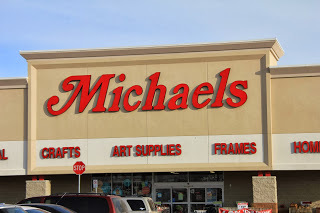 So off to Michaels I went! Yes, this screw looks like a frickin’ Arbys curly fry!!! OMG! Yeah, how am I going to put the cube together with this? And they never supply you with extras! **loud scream** My brain is starting to bubble! And off I went to Michaels yet again! I showed, and told, the cashier about my dilemma. She had me show her which cube it was, and brought another one to the counter. She tried opening the box….hahaha….now she knows what I meant by gluing the box together with crazy glue! She agreed! WTF! 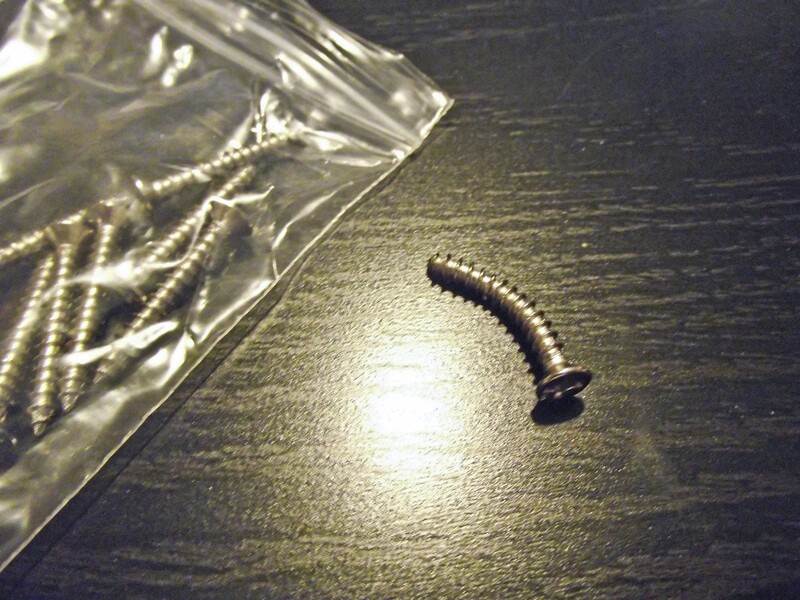 Anyhoo….back home with my “straight” bag of screws…. 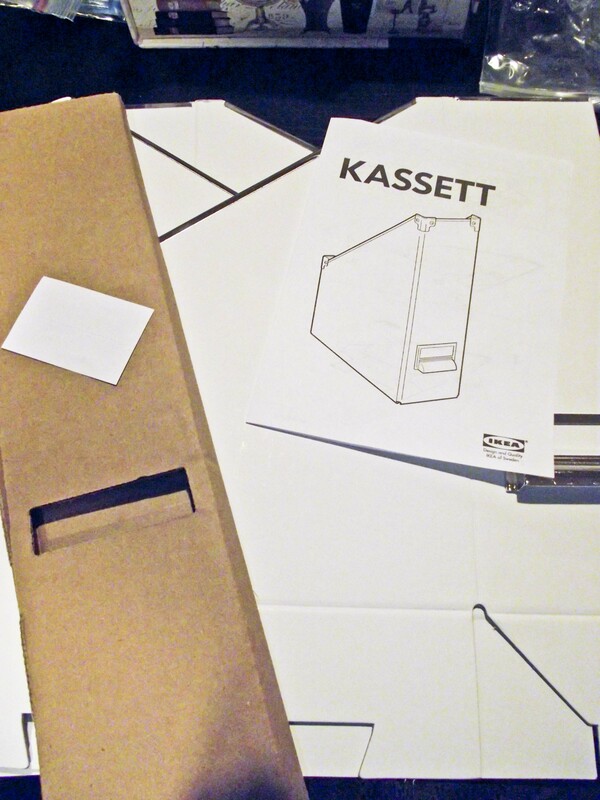 I was all set to put the cube together now, but guess what….my cordless screwdriver battery was dead. OMG! So I plugged it in to recharge, and decided to move on to something else while it was recharging. Ok, I think I will drill some holes so I can move a shelf on my bookcase up. Went and got my son’s cordless drill. The battery was dead! OMG! Really? Alright, I will recharge that battery….can’t get the battery off. OMG! Brain is now on fire! I remembered my son had a corded drill hidden away. I found that, and when I tried to put the bit in…..I couldn’t open the drill end! OMG! Ok….finally got it to open so I could put the bit in. Went to drill the holes. Got them drilled. Now I’ve lost one of the four shelf pegs! OMG! #$%*….really? Brain is on hyper destruct mode now! Decided to go upstairs for a bit to cool off. Definitely needed a break! 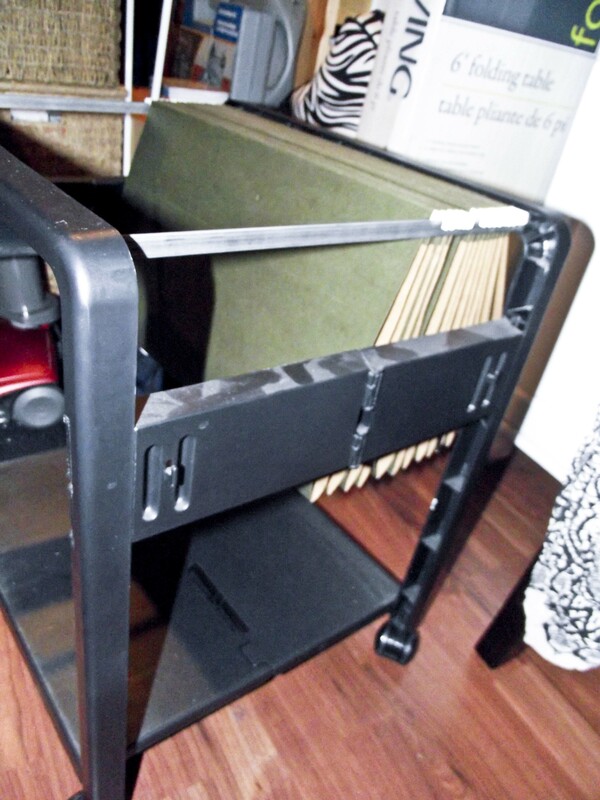 After a much-deserved-and-needed break….I found that missing peg. Everything was going good now. Well, at least till I got the half-cube put together. 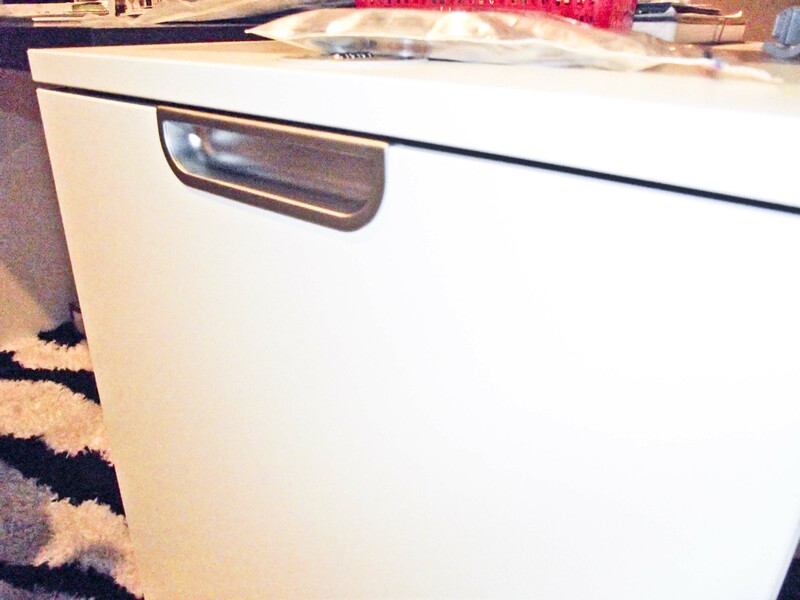 The drawer handles were offset, so now the drawer pulls get in the way and drawers won’t open or close right. Grrrrr!!! I’ll fix those later. I’ll drill new holes. 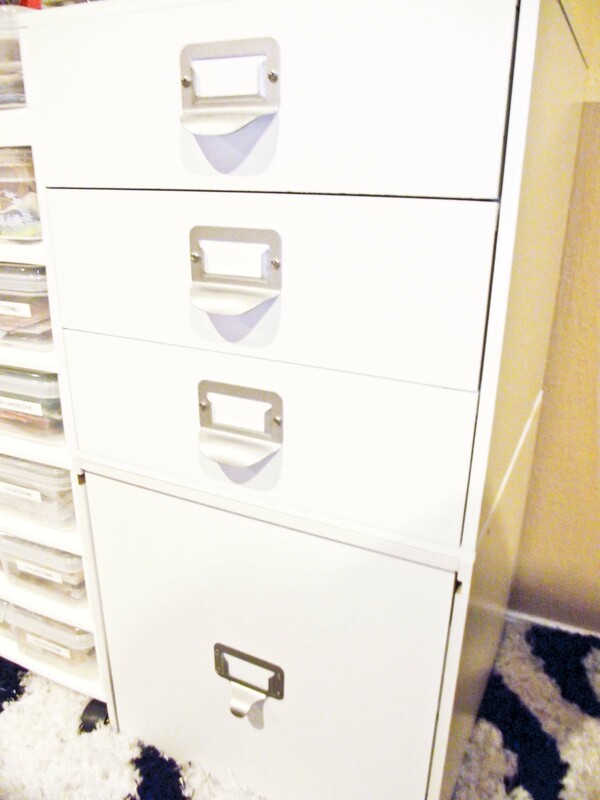 I told you it was a long story….now back to other storage…..
Here’s how I decided to store my Vagabond and Grand Calibur…. Yes, as you can tell I love those white storage cubes! You have been busy my friend!!! Love how it is all pulling together!!! I love your posts your so funny!!! Keep up the good work! Looking great so far Jenn! !